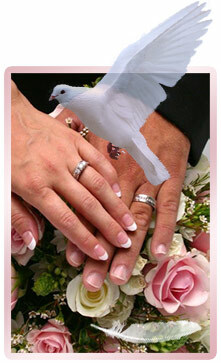 White doves have long been a symbol of love, fidelity, and peace. A professionally coordinated White Bird Release is the perfect and unique way to incorporate this symbolism into your wedding ceremony. Whether you choose two doves, representing the unity of life's journey, or the grandeur of a white flock release, it is sure to be an unforgettable addition to your special day. 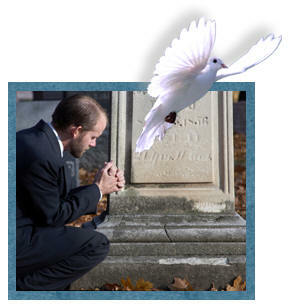 A lone dove is released at the end of the Service. White wings flutter as it ascends. A basket of 12 more doves are released. Once united the winged angels circle about and begin their journey home.